Home Tools Will InVision’s Pricing Strategy Continue to Work? InVision appears to be on fire lately. According to TechCrunch InVision has recently closed their Series F round of funding for a total valuation of $1.9 billion*. This is amazing and also rare for this line of work. There have been several companies spinning up in the design, prototyping, and collaboration space, but InVision appears to be a highly attractive area for investors. 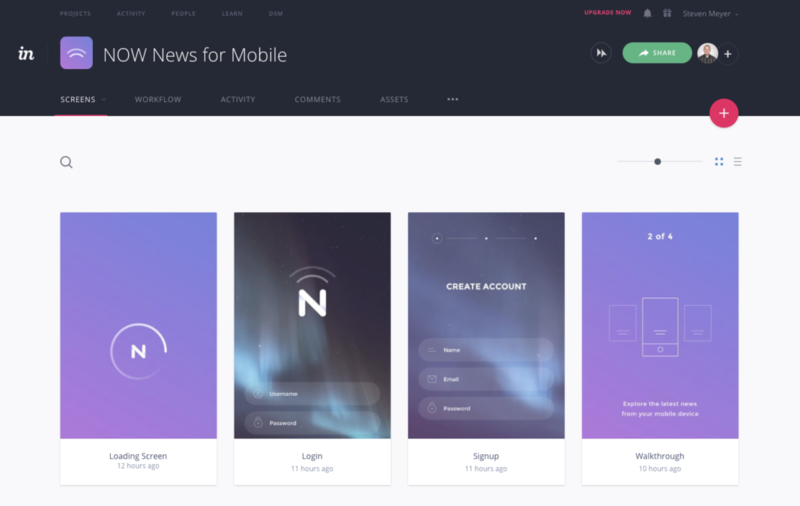 As of right now InVision seems to have a bright future ahead of them. They are tackling modern design and capturing the end-to-end experience. 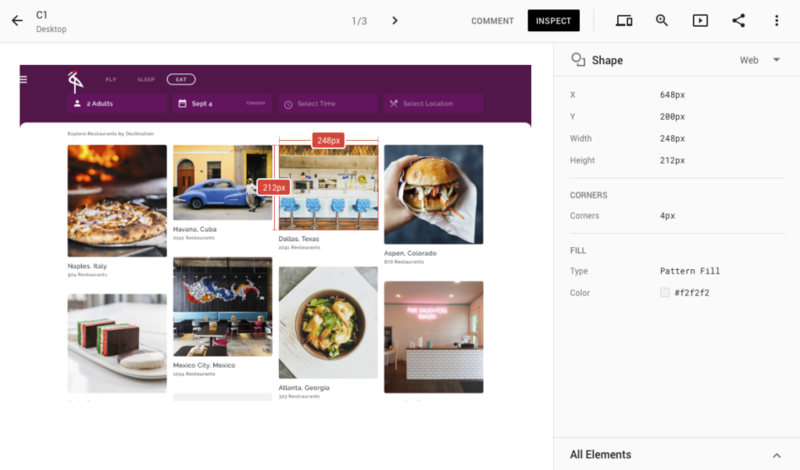 With InVision you can easily work with others and create mood boards, manage your workflow, and utilize their Freehand tool for real-time collaboration. Scaling up you can create great vector designs in Studio, prototype, and apply motion. Teams can comment on prototypes, test the prototypes for feedback, and then hand off the final designs to developers with accurate specifications. If you don’t want to use Studio you can also use Sketch and Photoshop. InVision does have a free option. However, as your grow your team the costs grow as well. As you can see from the pricing snapshot below taken from the InVision site there is a reasonable progression in pricing. Like most SaaS companies, you won’t readily get access to the enterprise pricing online. Locking on enterprise customers is everyone’s dream because they can really be the cash cows that help you drive better profit and grow your business. Let’s say you evaluated how you want to use InVision. You figure you want your 5 designers to be able to use the workflow feature and create prototypes to test with. You then want 6 product managers to be able to also have access and comment as well. This will then be handed off to a team of 20 developers, but you realize not all are front-end developers, so you could get away with only 10 having access. What’s the price? You monthly cost is $735 with an annual cost of $8,829. What about organizations that have thousands of employees? I’ve worked at places in the past where we purchased 300 licenses. As I mentioned before InVision is eager to make things work out and if you up the number of licenses they will lower the price. It is possible to get them into the high $20’s per license versus $35. So, lets run the numbers on an organization that needs 300 licenses at $28 per license per month. You’re looking at $8,400 a month and $100,800 per year. Paying over $100,000 a year isn’t bad if that tool leads to increased productivity and innovative products. You do get a pretty sweet set of tools that are backed by a company that will be around. However, let’s look at some alternatives. Google’s Material Gallery has a Sketch plugin that will let you upload artboards, comment, tie in documents, and handoff to developers with the inspect tool they provide. How much will this set you back? It’s free. Zeplin is another tool that accomplishes all of this and for a growing business with unlimited users and 12 active projects it’s only $26/month. Sketch already includes basic prototyping features for free. If you want more advanced motion design, then snagging a solution like Principle will only set you back $129 per year if you want to continue receiving updates. Origami is another tool you can use that is made from Facebook and also completely free. The list goes on in this area and there are some great solutions that are free or have a minimal costs. Figma is quickly closing in on the end-to-end experience like InVision. You can collaborate real-time in a browser, create awesome vector designs, comment, create prototypes, and handoff to developers where they can get specifications. They are a little limited on motion design, but guess what, they recently released their Principle integration to take your motion to the next level. So, how much will all of this set you back? $12 per month per user. That means you can get nearly 3 licenses per every 1 InVision license? People are Clearly Paying for it. Me: Have you changed your pricing model yet? Is it still $35 per user no matter what type of user it is? Me: I can’t justify spending $420 per year per developer to just look at specs when there are free tools out there that do the same thing. Can’t you have a dev license that is free or only a few dollars since they won’t use anything else? InVision: We understand, and we have heard this quite a bit, but at the moment we do not have other pricing options, but we can lower the price if you get enough licenses. So, why are people paying for it? I literally have no idea. The last InVision sales representative I worked with I had to explain that as a product design manager I would not be doing my job to put that type of cost burden on my company when I know there are better options out there. That’s exactly what it will take for InVision to fix their pricing model. People have to stop paying for it. 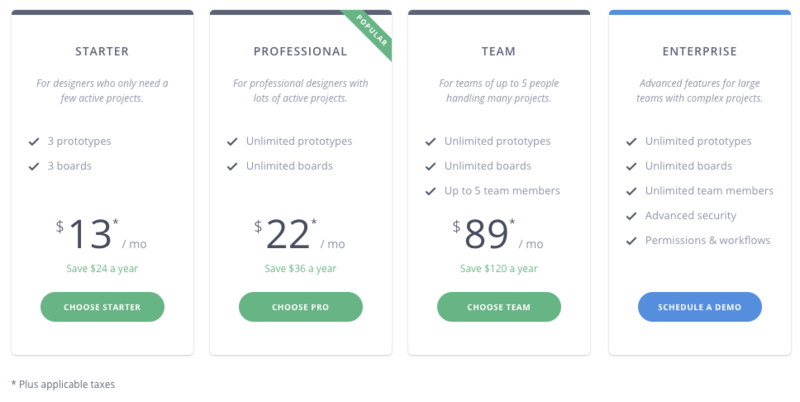 InVision has a bright future, but they need to align their pricing with their users just as they have aligned their tools to their users. A developer that just needs to view specs should not be $420 a year. Their response has been the same to me about their pricing model over the past two years, so we’ll see if enough design leaders take my approach and go down the path of putting your dollars elsewhere. Does Your Next Design System Get Easier?